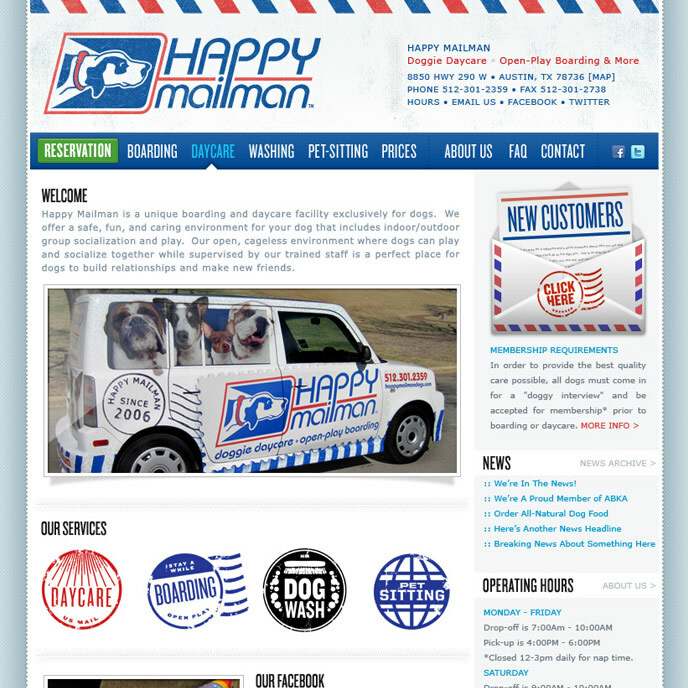 New branding and an overhauled website for our friends at Vintage Step Vans. We designed multiple logo configurations, including an emblem that will look great chromed and on the back of a customized vintage step van. 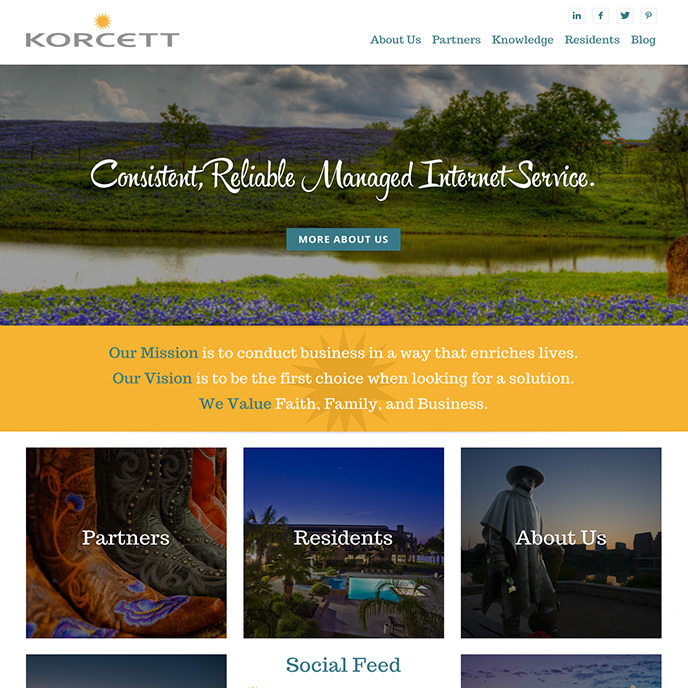 For the website, we utilized the wordpress platform along with a customized premium theme to create an affordable 1-pager-style site that effectively communicates the company’s vision and services, while being user-friendly enough to turn visitors into new customers. 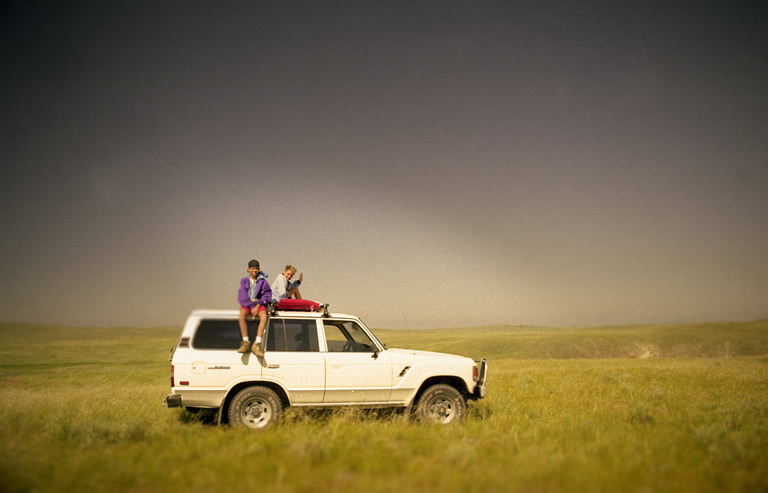 SHOORAH Society is a community group for pop-up and secret events. We can’t tell you anymore cuz its secret! 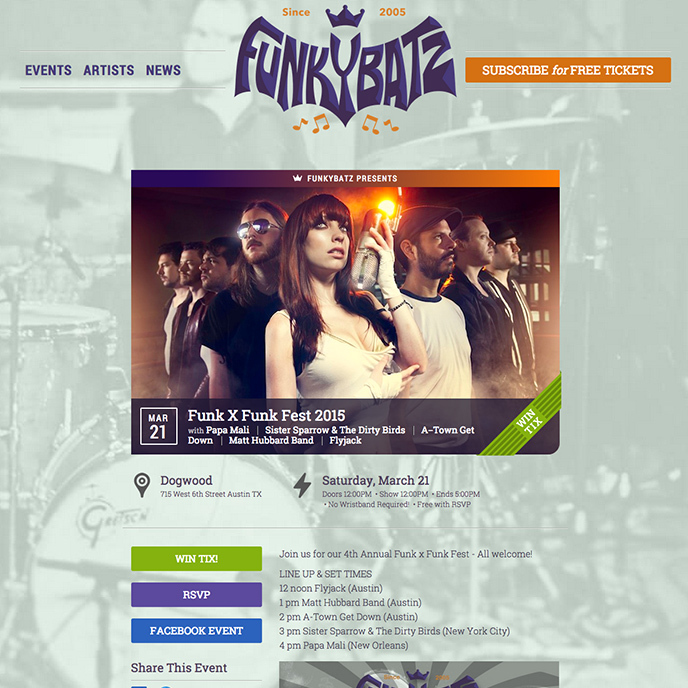 Custom website for Illinois music venue and Ticketfly client, Boondocks Pub. 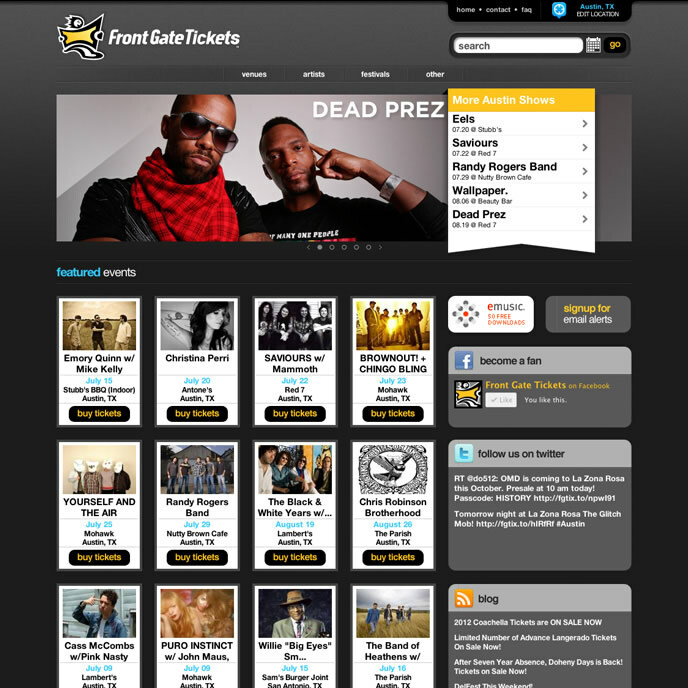 The site features integration with ticketfly’s event/ticketing platform. Content is easily managed thru a customized wordpress admin dashboard. 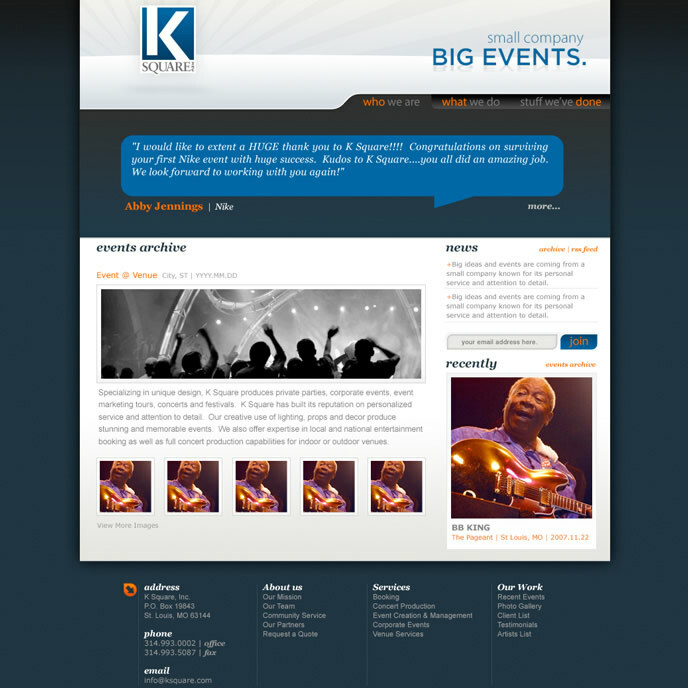 A clean and simple 1-page wordpress website to introduce this exciting new project from our friend Rahm Carrington. 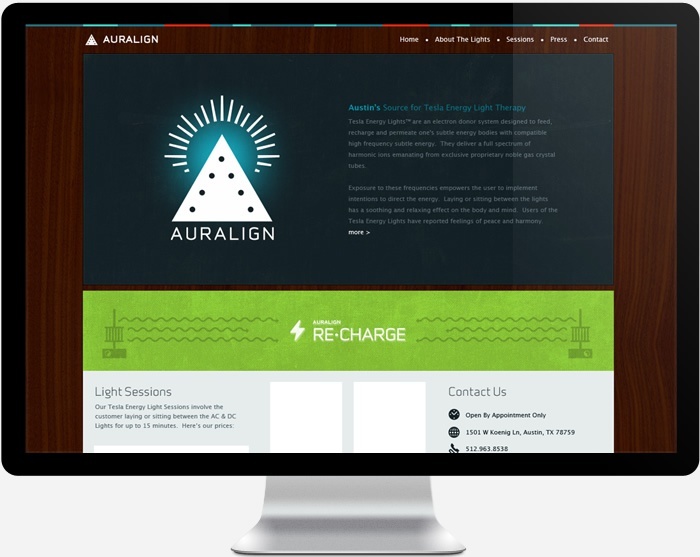 Fast, secure, and responsive – the site features custom cms tools on the backend to make updates a breeze. 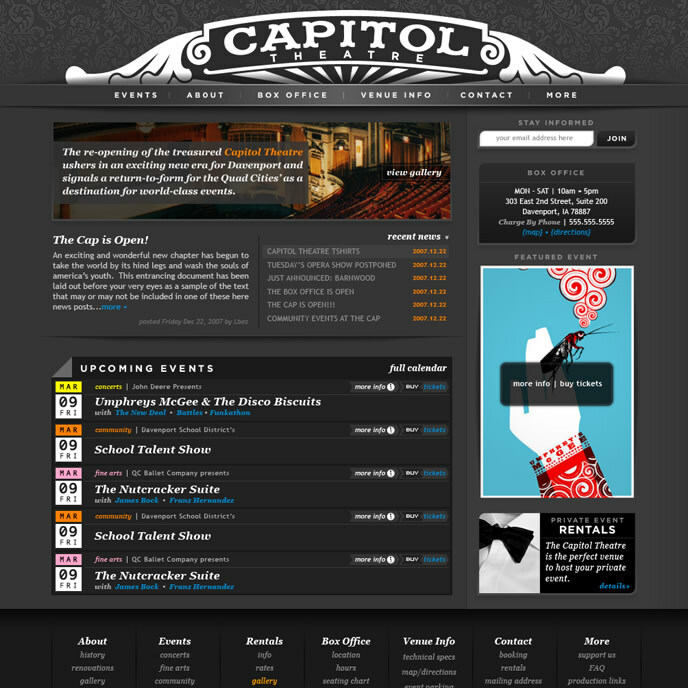 Website for one of Washington D.C.’s premiere music venues. 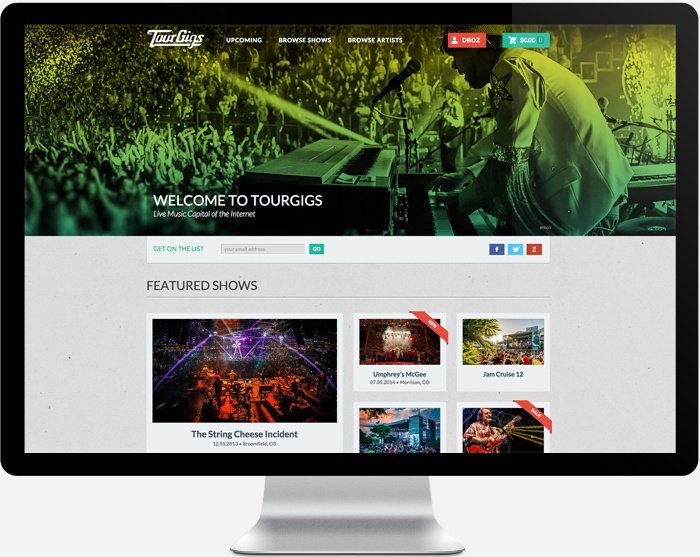 Built on WordPress and integrated with Ticketfly’s ticketing and event platform. 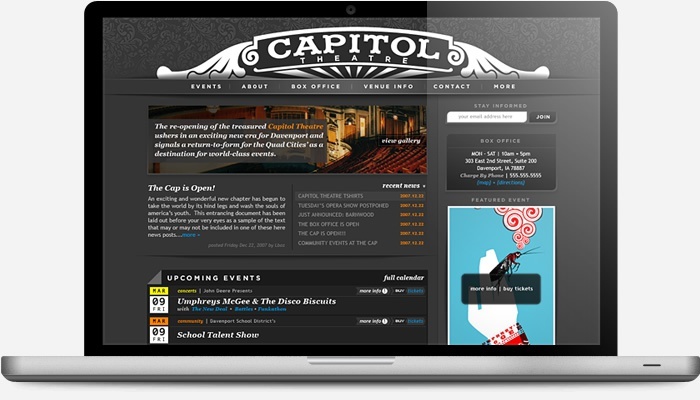 The site features custom CMS tools built on top of wordpress for easy content management and updates. Russ Hartman, editor of The Austin Daze, is a vital part of the fabric of the Austin music and film scene. 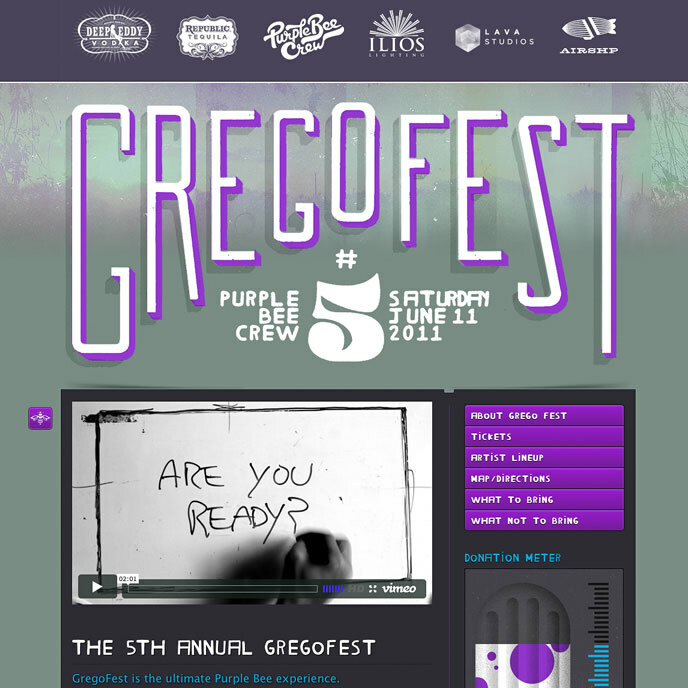 It was due time to overhaul his website/blog. 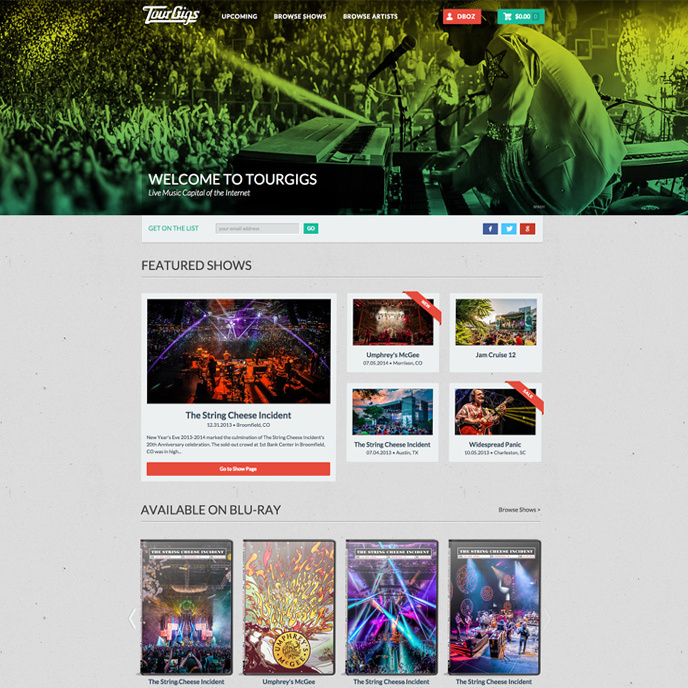 Our goal was to set the Daze up for sustainability – with event promotion tools and contests to help them attract fans and build an email list, ad banners to promote local businesses, an online store to sell shirts and stickers, and with an archive section to showcase their massive trove of content – interviews with legendary figures. 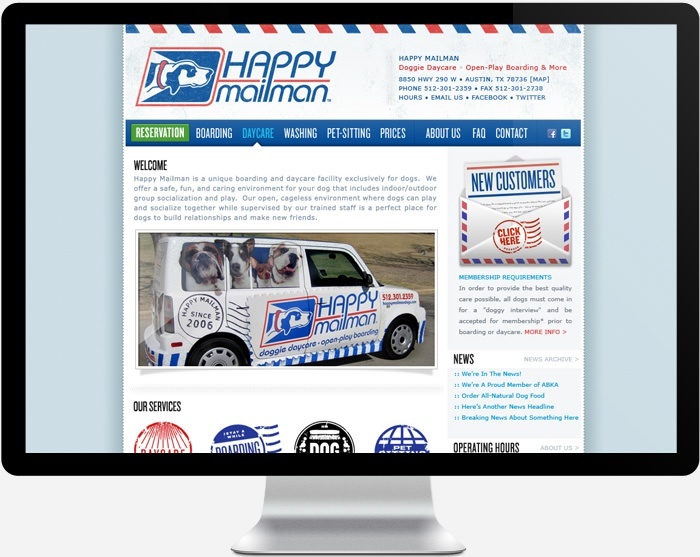 The website built on wordpress and is fully responsive, its easy for Russ and his team to manage day-to-day. The Austin Daze is a treasure and we are happy to have been a part of their story. 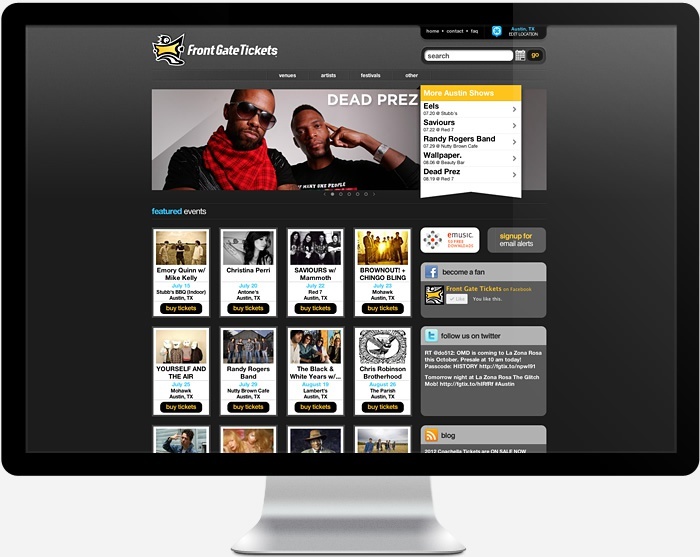 AIRSHP developed a custom wordpress theme for Ticketfly client and NYC music venue, The Bell House. 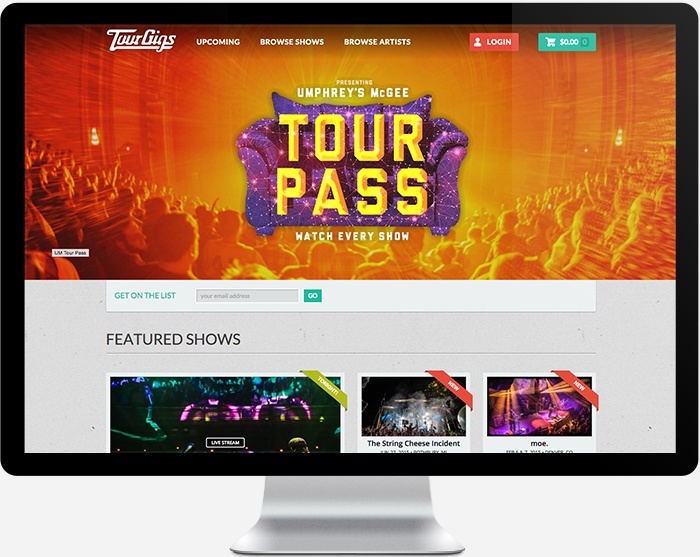 The site is integrated with the Ticketfly platform to list events and also sports some CMS customizations built on top of wordpress that allow the venue to regularly manage their private events and food menu. 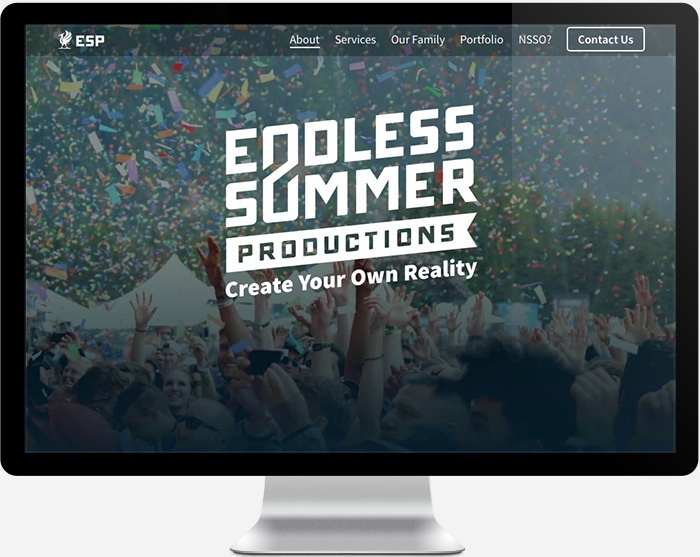 Endless Summer Productions is a comprehensive event production company with decades of combined experience in the design, planning, organization, and execution of premier live events in North America. 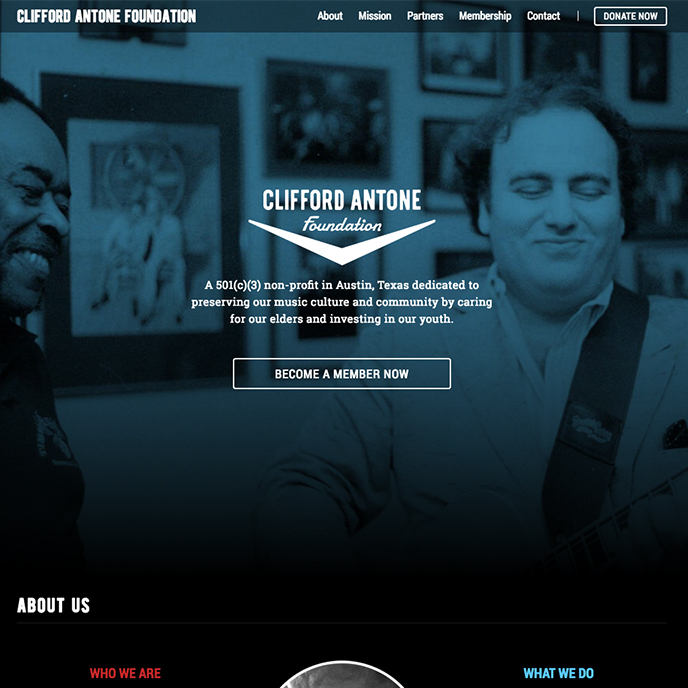 We designed and developed a custom wordpress website for Clifford Antone Foundation, a 501(c)(3) non-profit in Austin, Texas dedicated to preserving our music culture and community by caring for our elders and investing in our youth. 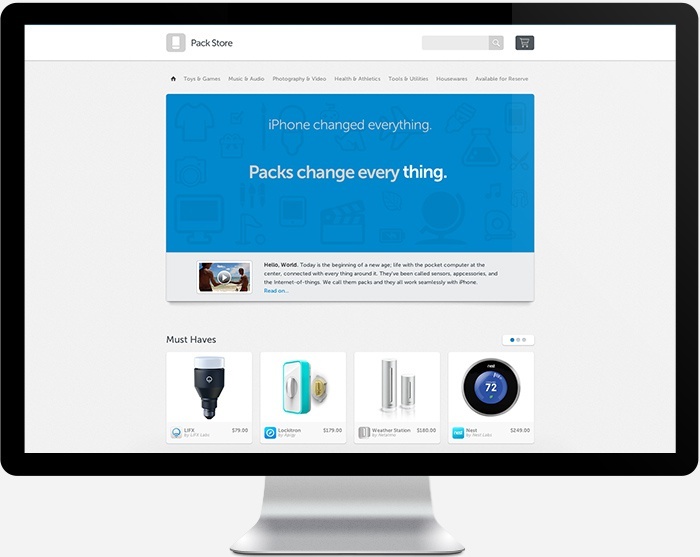 The site features a fully responsive mobile-friendly layout, CMS-controlled content managed through the wordpress backend, and membership/e-commerce functionality that’s custom-integrated with PayWhirl and Stripe. 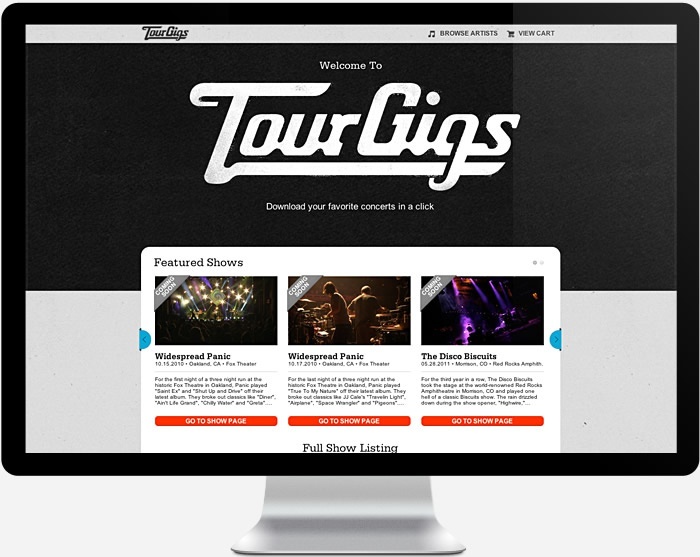 We worked with our buddies at TourGigs to conceptualize and build a live concert streaming platform a couple of years ago. 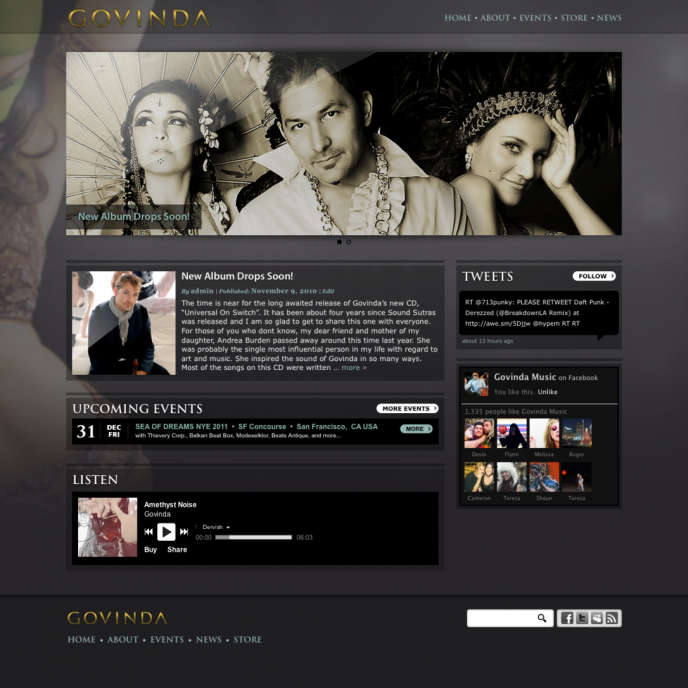 Since then, we have made incremental improvements to the website. 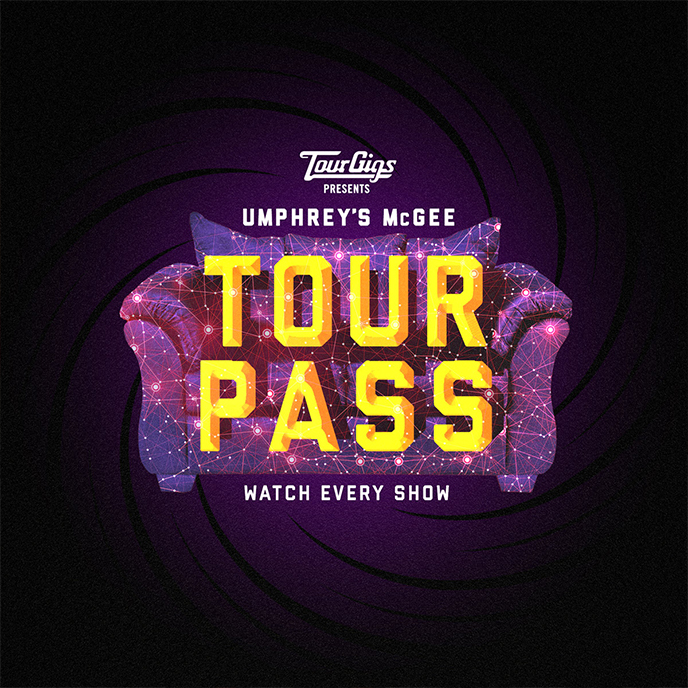 This year we launched a new feature – the Tour Pass for Umphrey’s McGee – a membership service that gives customers access to the bands entire tour – live streaming and video on-demand after the show. 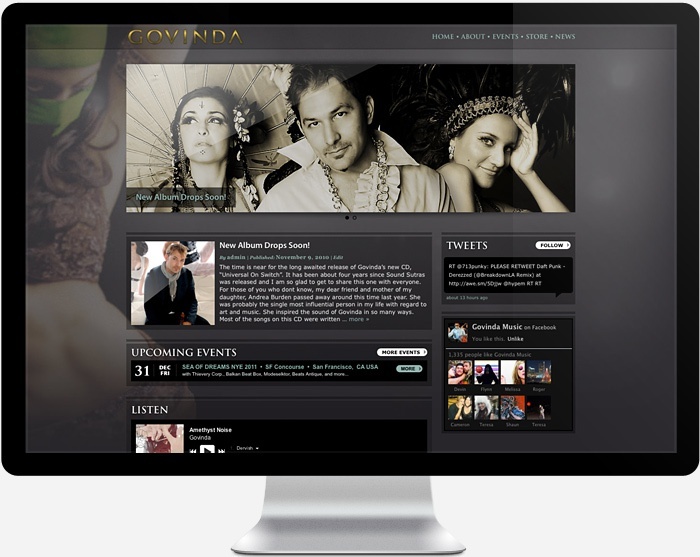 We also created a new interactive chat widget that is robust enough to handle thousands of concurrent users. 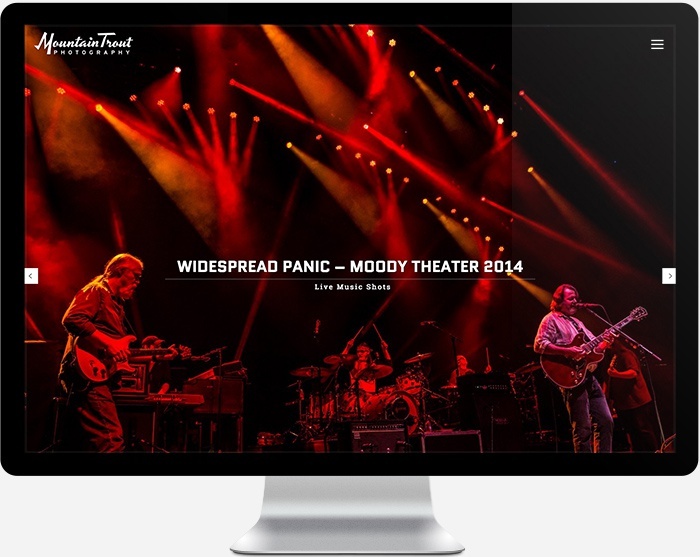 Look for more innovations in the live concert streaming space moving forward – we love this stuff! 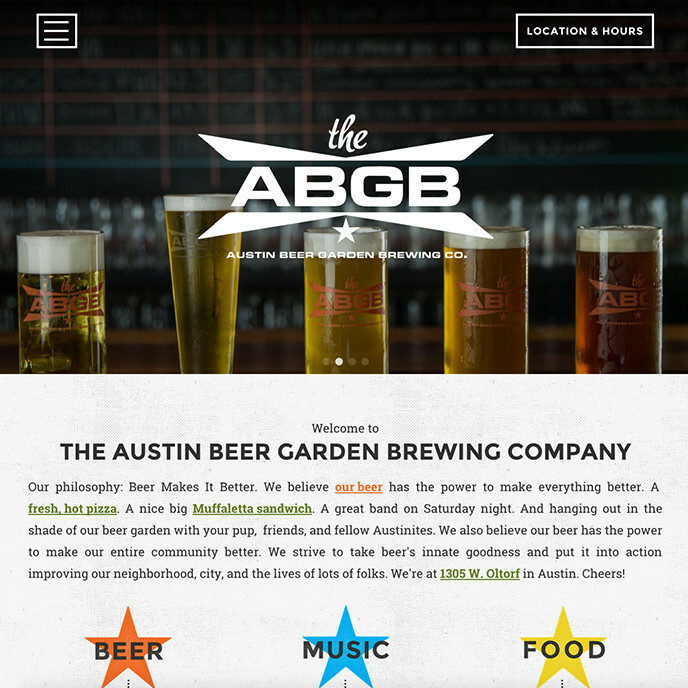 We love these guys, they are everything that’s great about Austin, TX rolled into an epic neighborhood bar/restaurant/brewery/music venue. 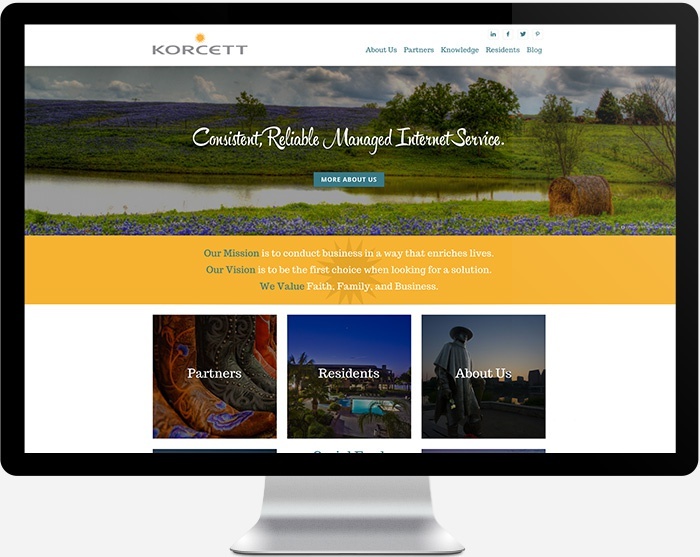 We were honored to be asked to build their new website. We tried to highlight the stunning photographs by Jody Horton and Mountain Trout (in a way that is mobile-device-friendly as well). There is a beer page that lists whats on tap as well as gives all the stats that beer-nerds are looking for. 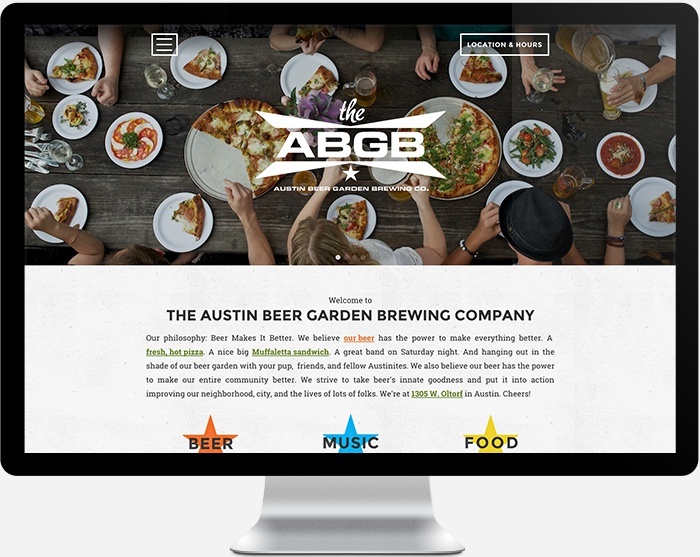 The customized wordpress CMS makes it easy for the ABGB staff to maintain on a day-to-day basis – whether its updating the menu, posting events, or blogging about the latest news. Also – check out the #OURATX page – where people can have their instagram photos show up in a gallery. 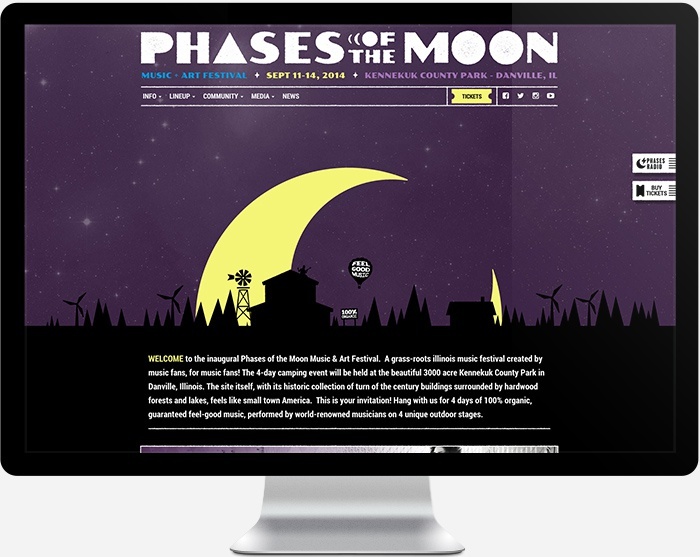 We built upon the site we had created for the 2014 festival — freshening up the look and feel to match this year’s brand evolution, improving the responsive features and mobile navigation, and just streamlining the UI/UX overall. 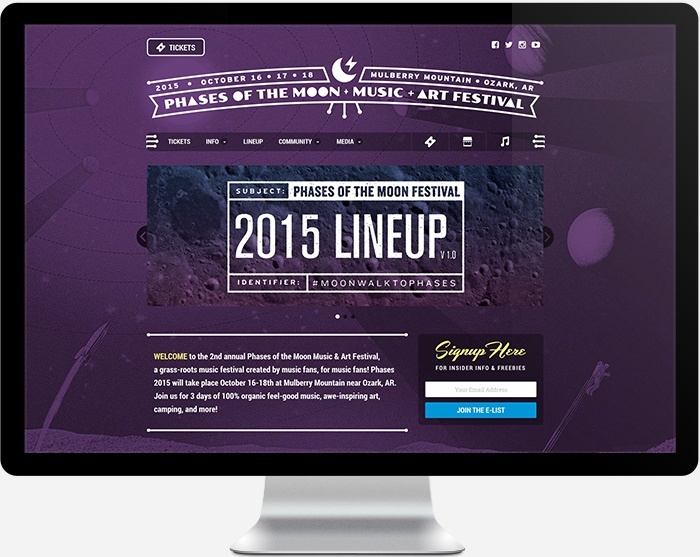 The site is powered by a highly customized wordpress CMS back-end — with api features to integrate with mobile apps, easy management of tickets, artists, performance shedules, FAQ’s, and all the various festy details that are key to an keeping patrons informed. 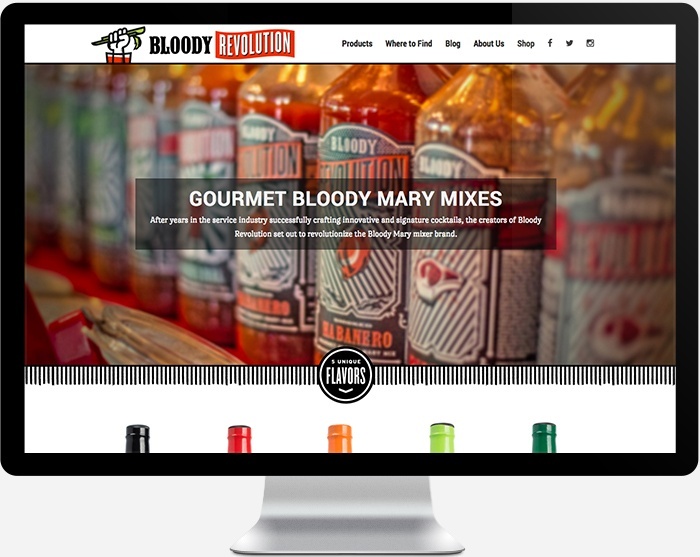 Showcasing the photography or our good friend and colleague George Trent Grogan, this responsive, WordPress-based website design features a clean mobile-friendly theme with integrated e-commerce and social tools. 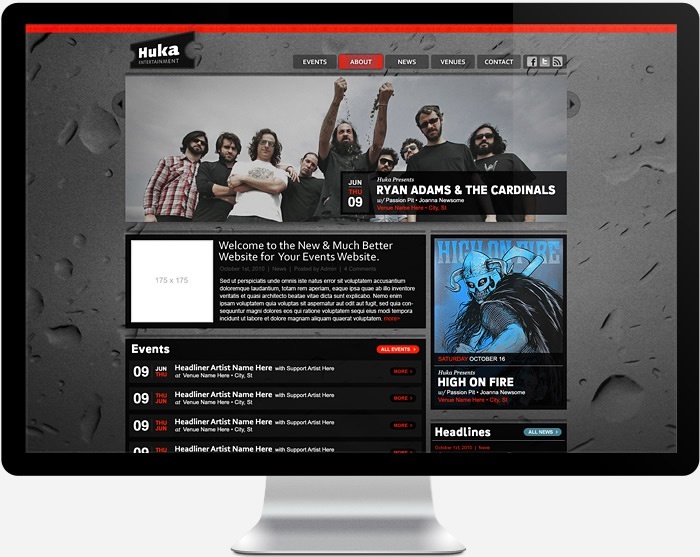 WordPress/WooCommerce-based responsive website allows for live webcasts and video download sales. 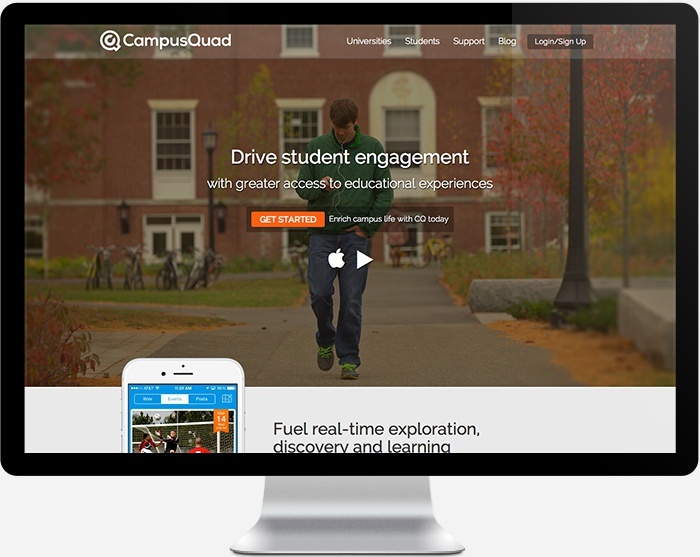 We did a full website redesign for CampusQuad, creators of a great mobile app that integrates into the daily lives college students. 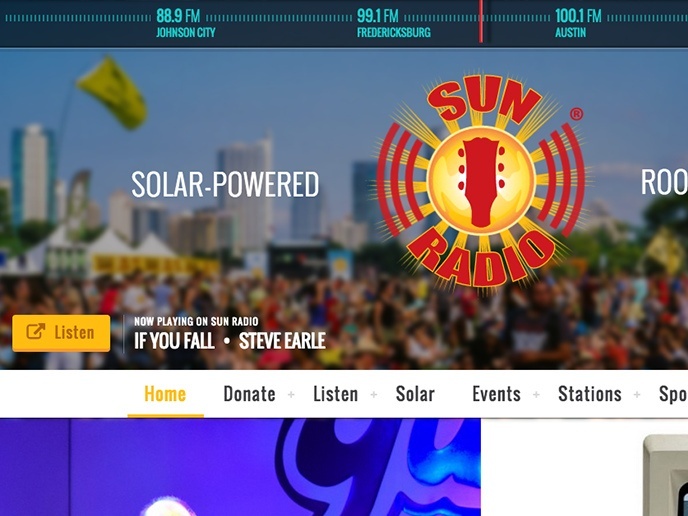 The site features large hero imagery, video for app demos, and call-to-action buttons that stick to the top of the window as you scroll down. 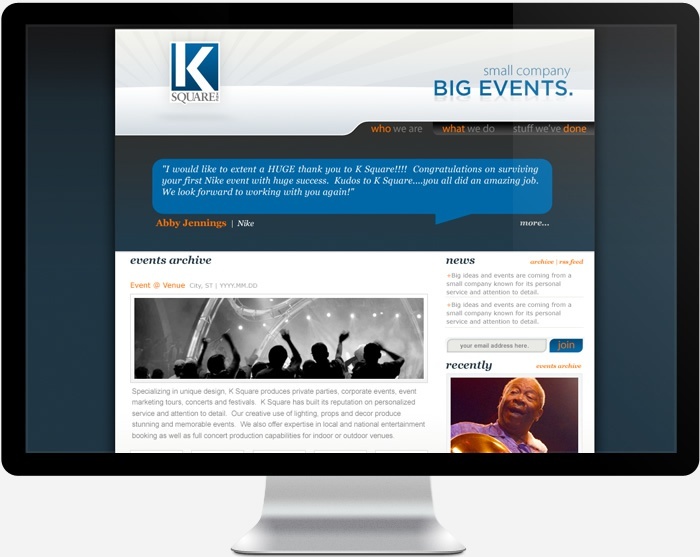 AIRSHP assisted the client with the brand messaging and web strategy. The lead capture forms are custom-integrated with their salesforce account. 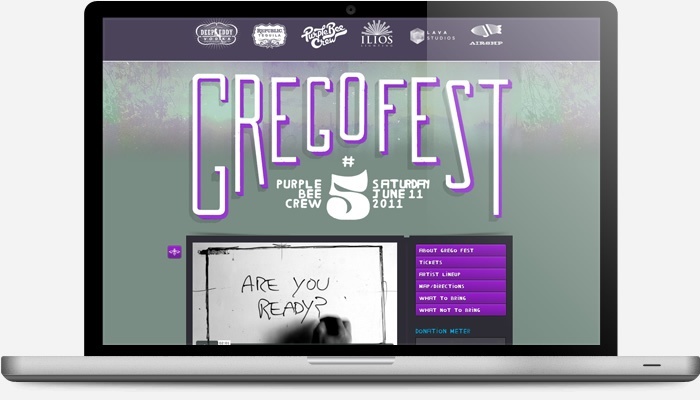 The site layout is fully responsive – allowing for a great user experience across all devices and screen-sizes. 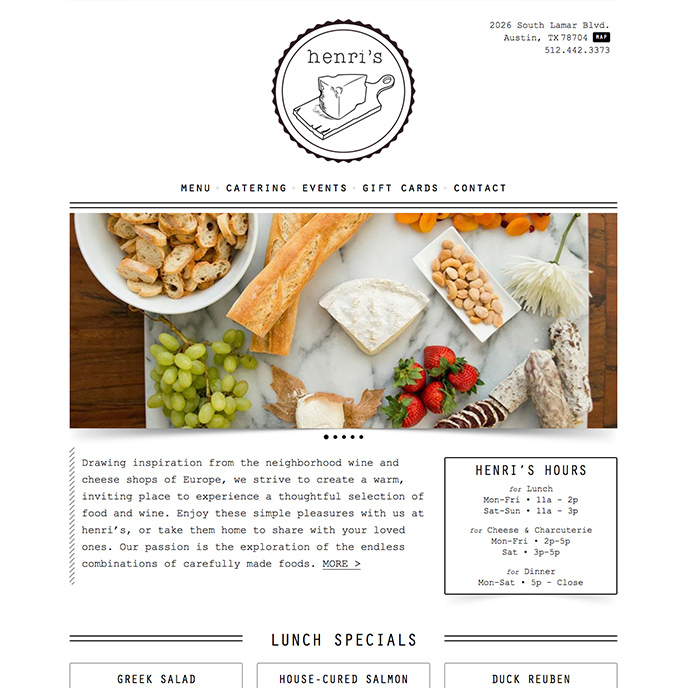 Custom wordpress-based restaurant website. 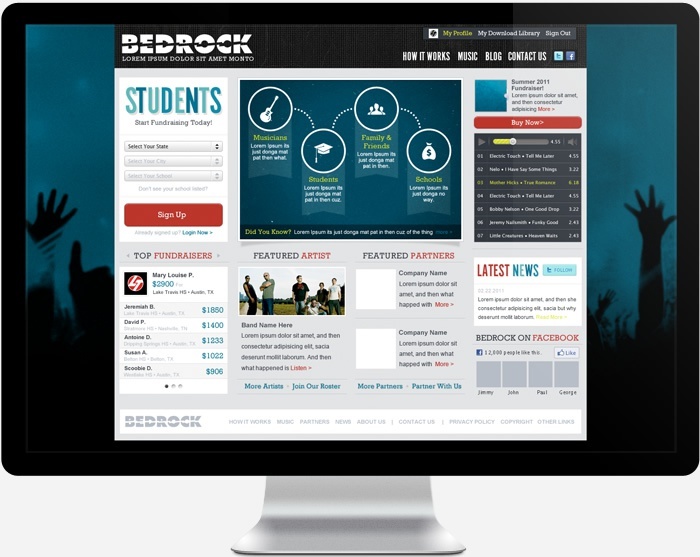 The backend CMS handles the menu and specials as well as the restaurant location, hours and contact info. 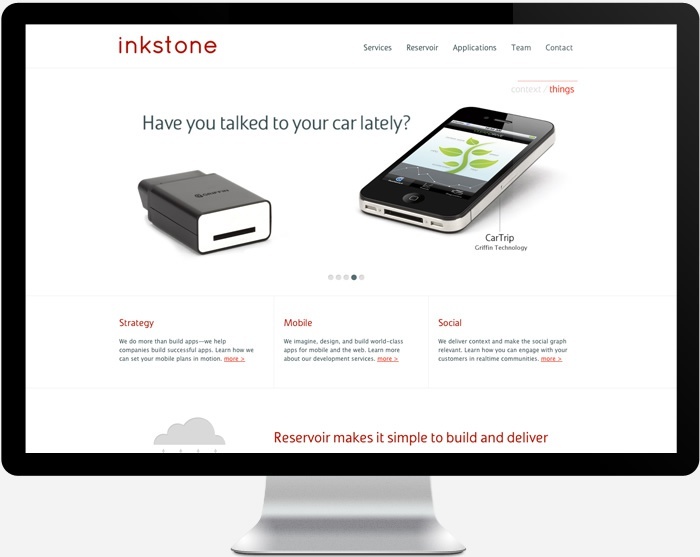 The front-end design is responsive for all screen sizes mobile to desktop, SEO-optimized, and streamlined to provide an efficient and intuitive customer experience. 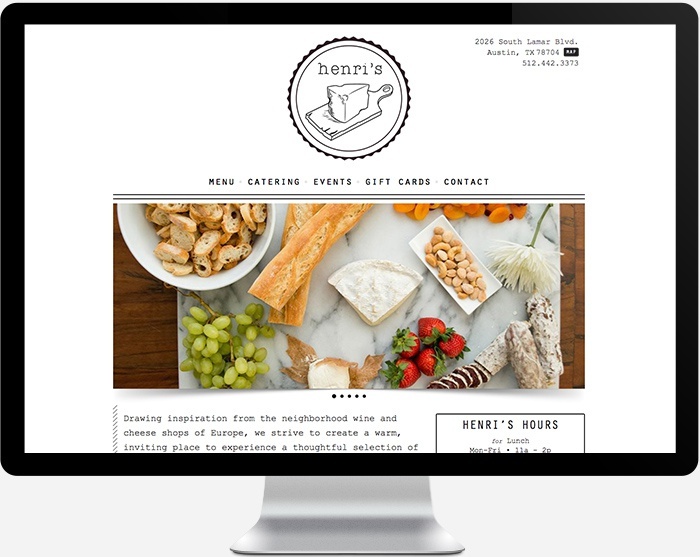 The events page is populated by data pulled from events on the Henri’s Facebook page. 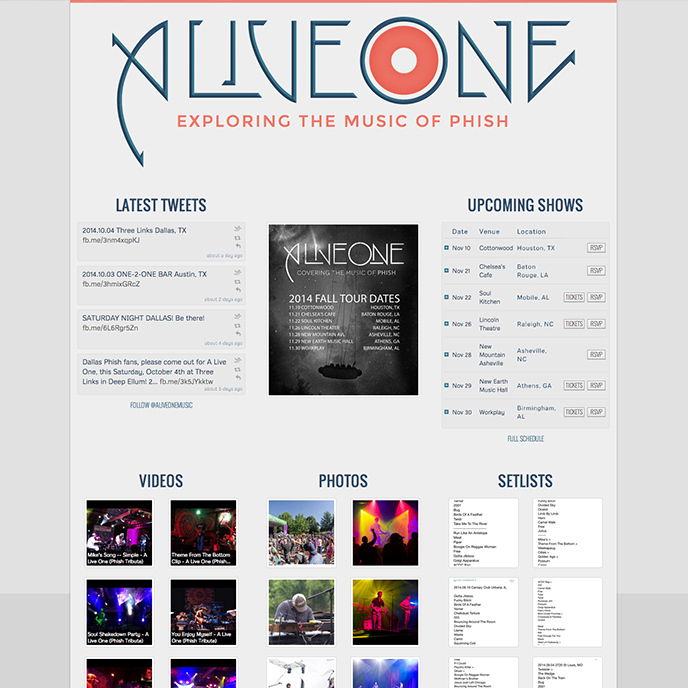 AIRSHP built this one-page band website for Austin-based Phish tribute band, A Live One. 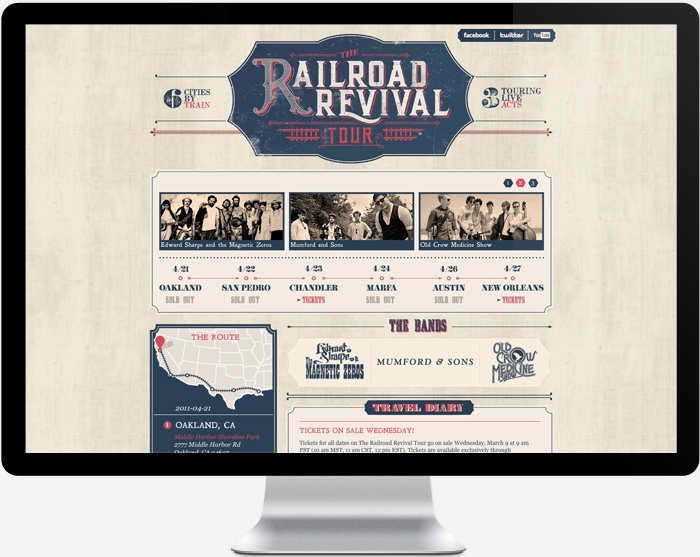 The site pulls in data from various social-media sources around the web – Facebook for photos, posters, and setlists. Twitter for the news feed. 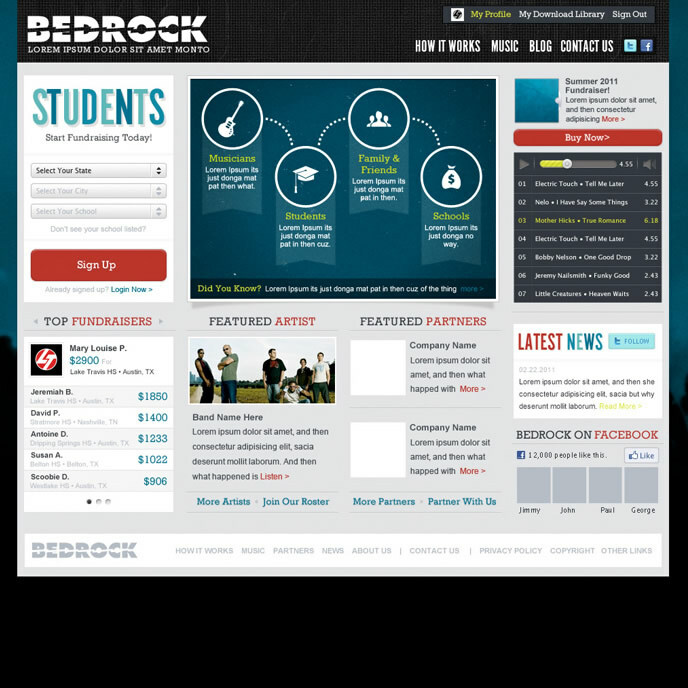 ReverbNation for band bio and audio player. 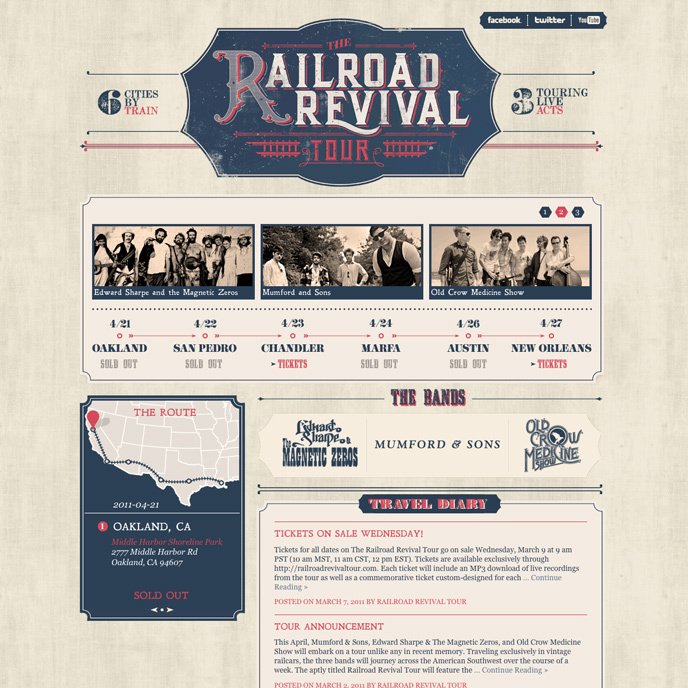 Clean, simple, and responsive design. 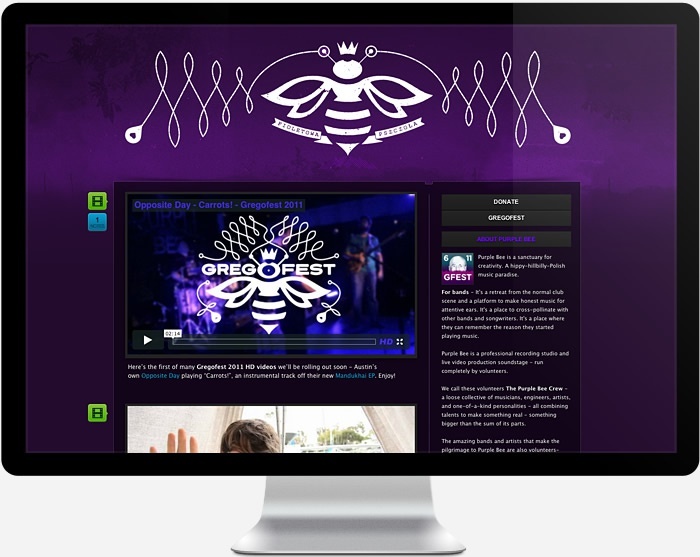 AIRSHP designed, built and managed the website for this first-year festival in Illinois that featured a stellar lineup of renowned jam, rock, funk, and bluegrass bands such as The String Cheese Incidenent and Widespread Panic. 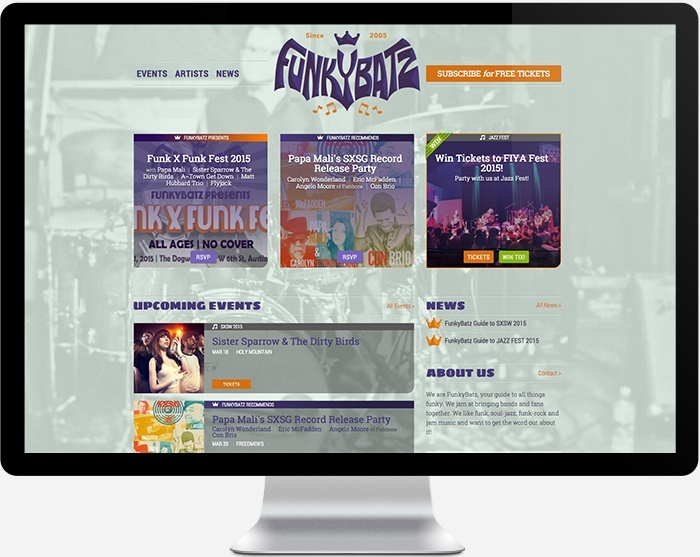 The website is based around a festival-optimized, custom wordpress theme that features CMS capabilities for managing the lineup, schedule, FAQ’s and much more. 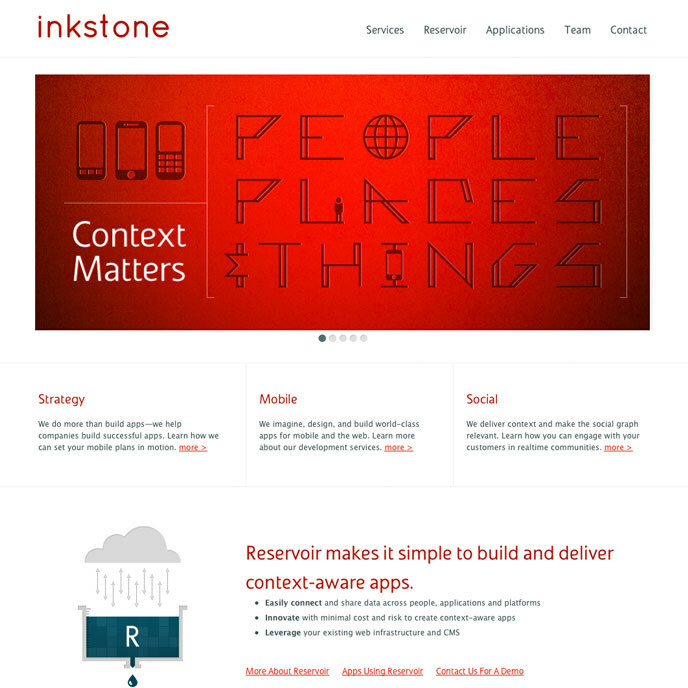 The front end is responsive and mobile-optimized. 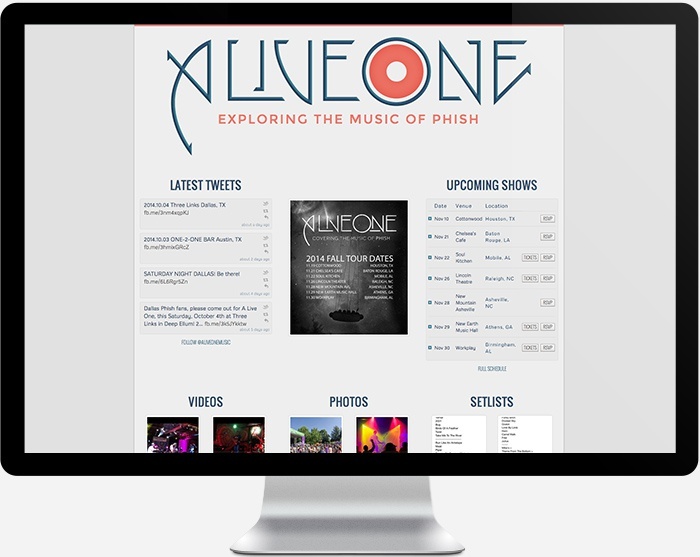 In addition, we built a custom-API integration that syncs lineup and schedule data with the Phases mobile app (built by our talented friends at Aloompa). 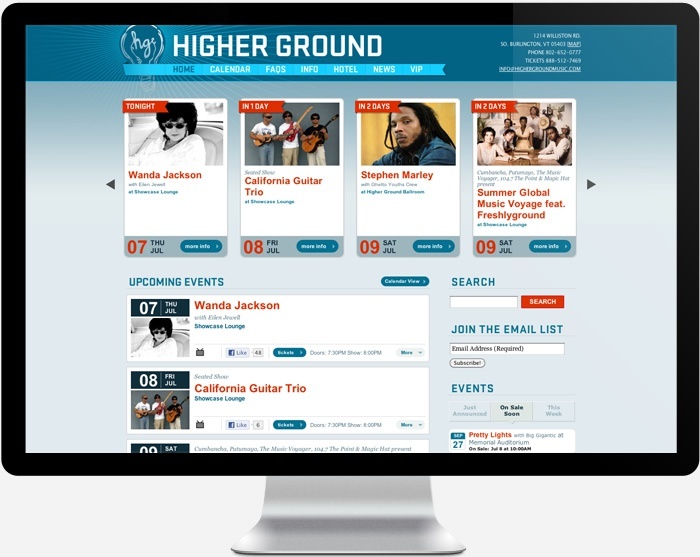 AIRSHP managed all social media marketing for the festival as well – a broad effort of brand-awareness building and targeted marketing across all major social platforms. 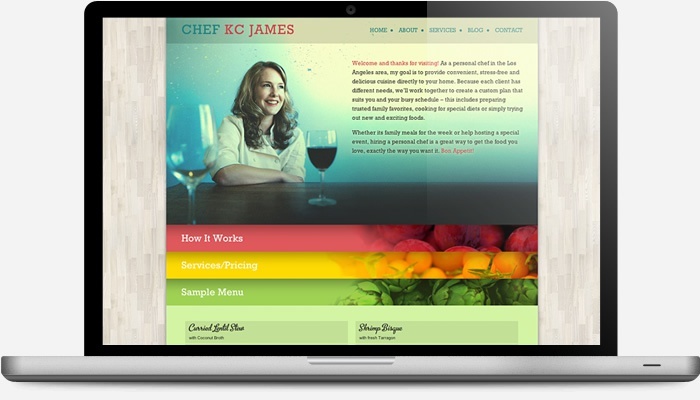 Austin chef, nutritionalist, and educator Adrienne Lee hired AIRSHP to create a professional foodie website. 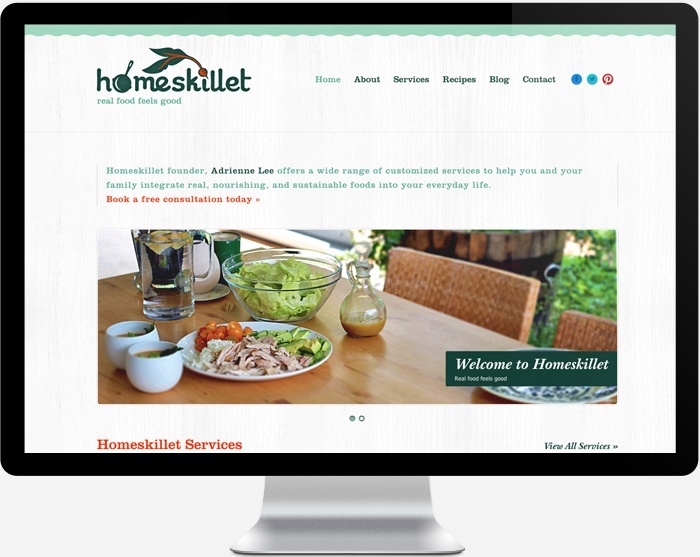 We delivered a fully custom, responsive, wordpress-powered website that highlights her unique services, recipes, and nutrition tips. 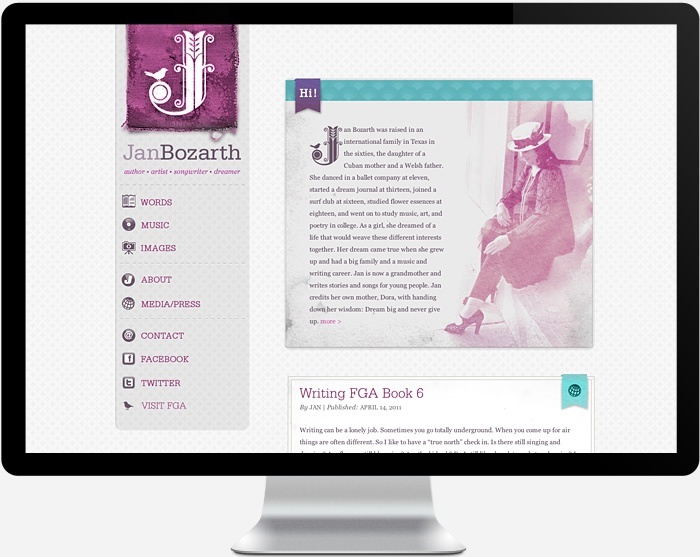 AIRSHP designed and developed a custom theme that turns the Tumblr platform into a viable CMS! 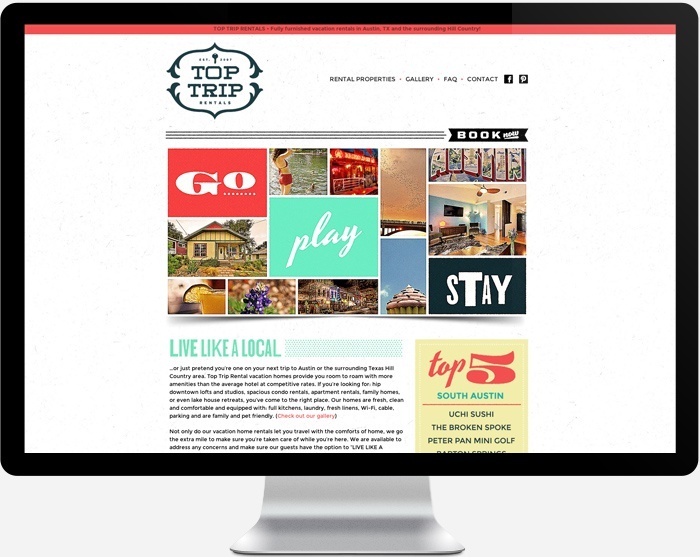 Featured content areas on the homepage are populated by posts with a specific tag, the photo gallery pulls together photos from previous posts, and its all done with a custom look and feel that sets Top Trip apart from its competition – take a look if your are interested in booking a rental property while in Austin. 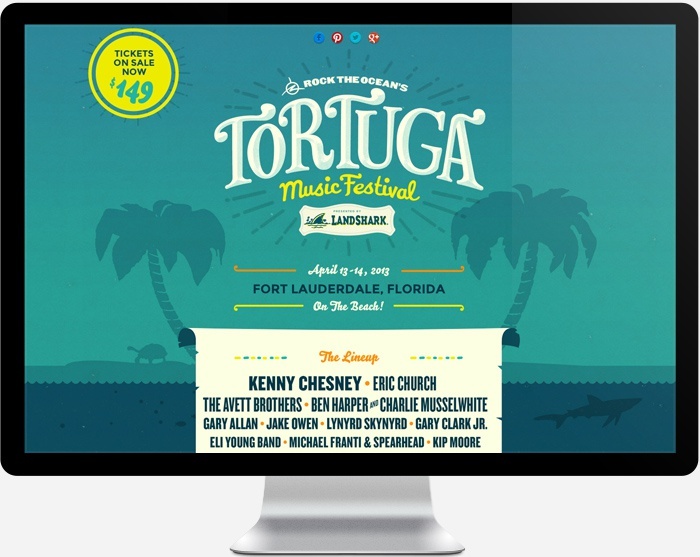 Custom designed app interface for Tortuga Music Festival in Fort Lauderdale, Florida. 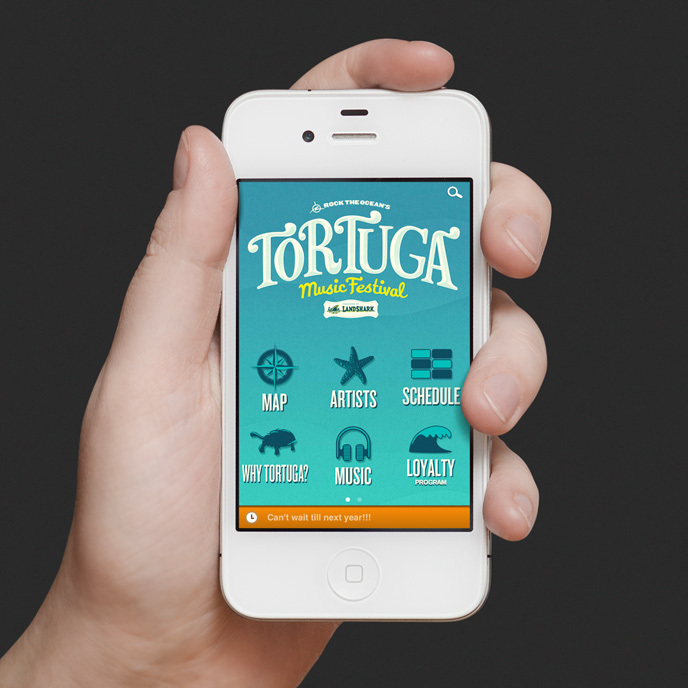 This app built on the Mobile Roadie platform, which allows for quick and low-cost iOS app deployment- perfect for bands, labels, festivals and venues. 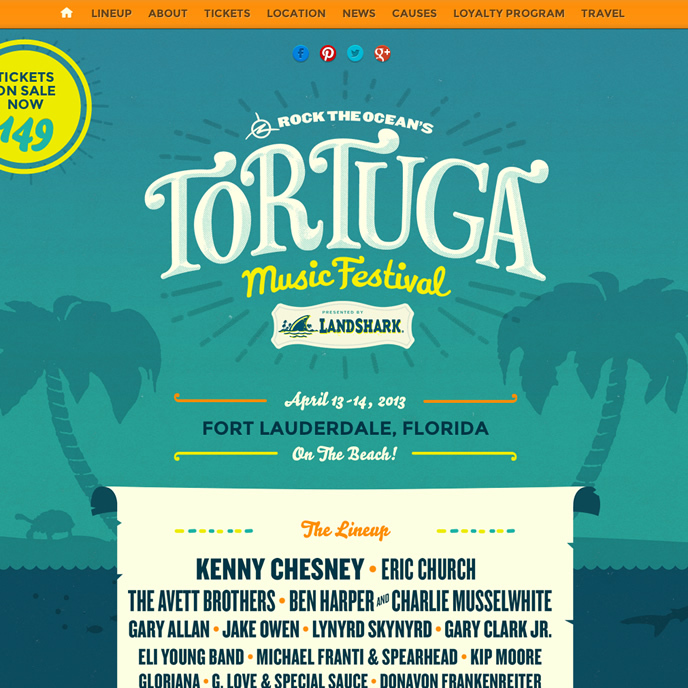 AIRSHP designed and developed a 1-page festival website for this Florida beach festival with a killer lineup. 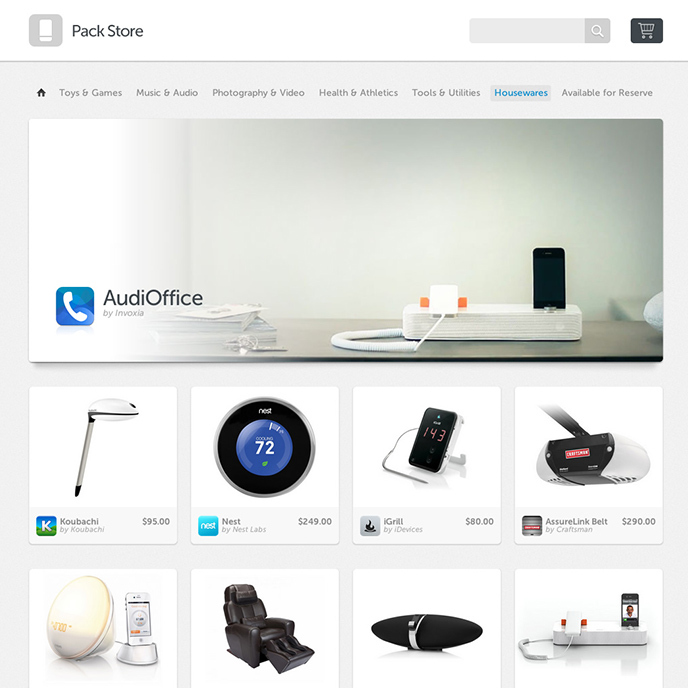 The site is responsive and mobile compatible. 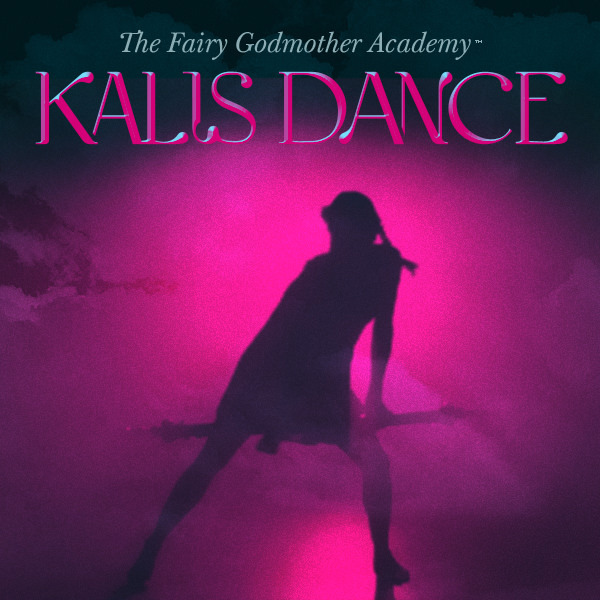 AiRSHP designed and built this mini-site for the Fairy Godmother Academy to coincide with a social video contest..
Full custom web design for Austin-based TourGigs. 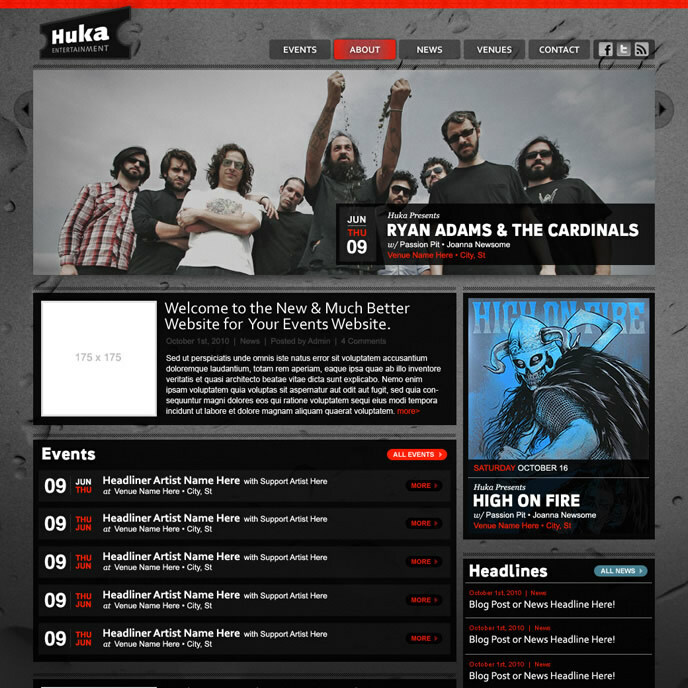 Band pages are based on a custom designed template system – allowing for easy addition of new artist pages. AIRSHP started a charity project to help the survivors of the tragic Central Texas wildfires of 2011. 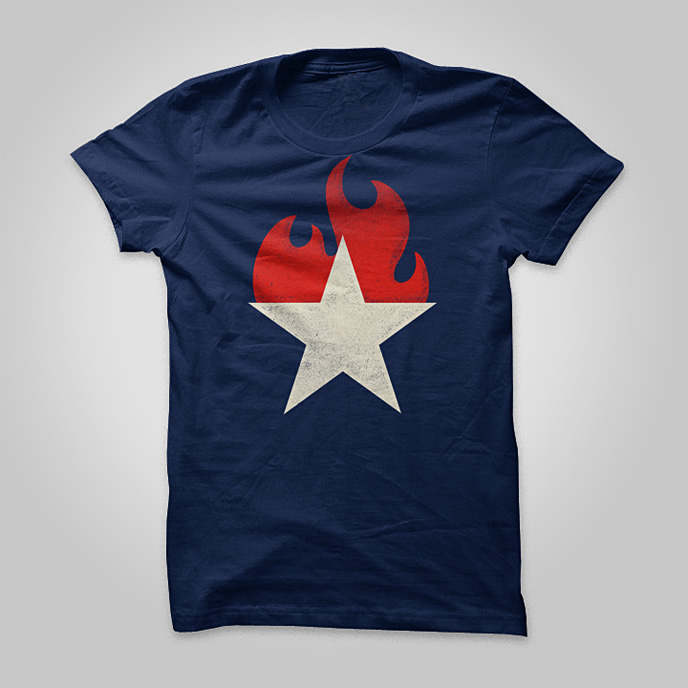 The idea was simple, but timely: Design great-looking shirts that would commemorate this moment in time and pay tribute to the enduring spirit of the Texans who lived through it. Then use the proceeds to help out the wildfire relief efforts. In addition to our designs, we enlisted the help of other great Austin designers- The Butler Bros, Gerren Lamson, Curtis Jinkins, Brett Stiles and many more- all contributed shirt designs. 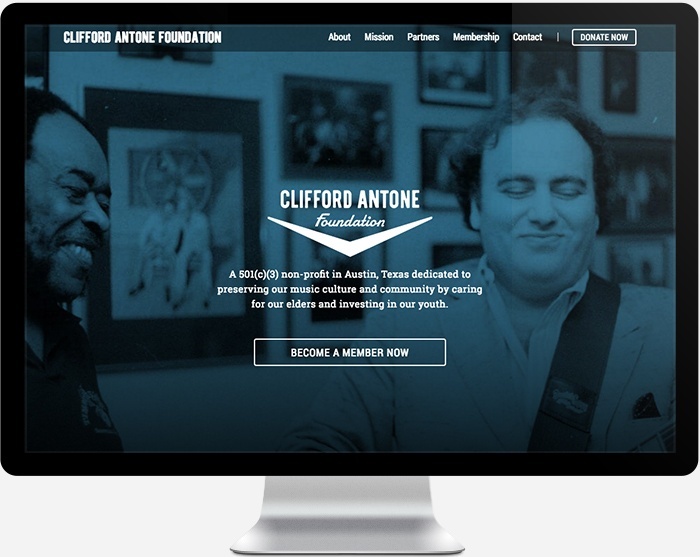 Our friends at AMPLIFIER handled the printing and fulfillment from East Austin. We built a web-based storefront to sell the shirts and leveraged power of social media- twitter and facebook mostly- to spread the word…it worked. To date we have sold around 2000 shirts and counting. 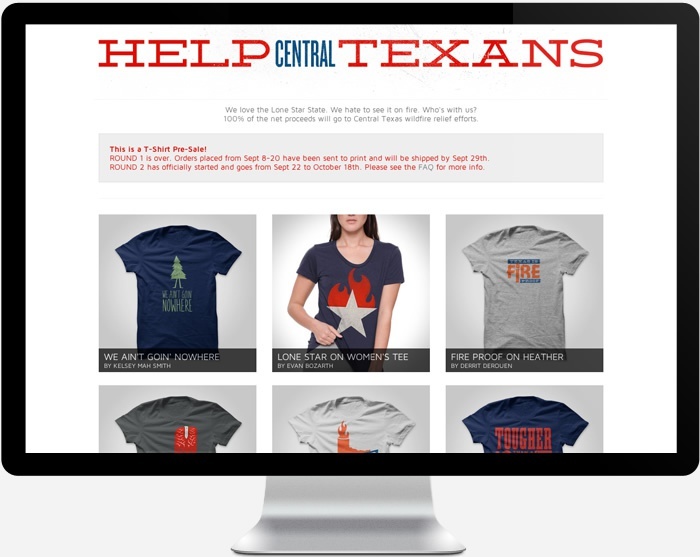 Visit CentralTXFires.org to buy a shirt or get more info. 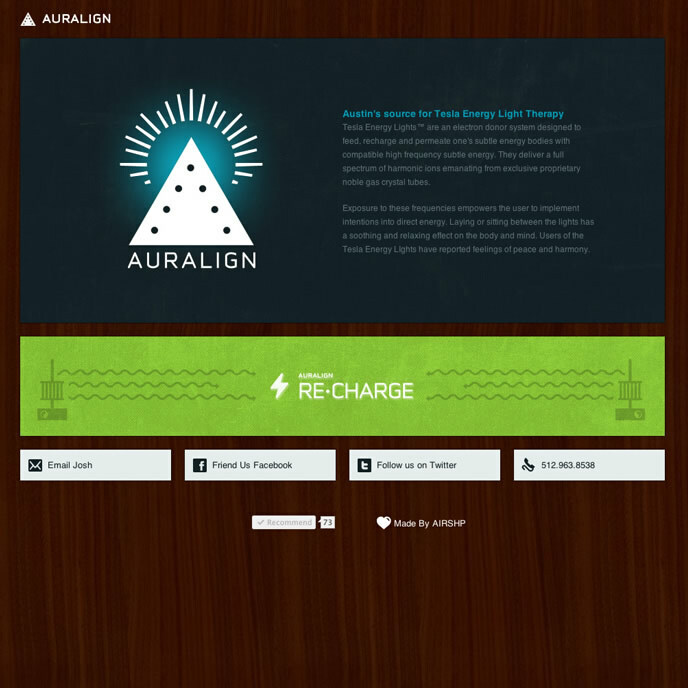 Custom Tumblr theme design for AURALIGN – a Tesla energy light therapy center in Austin, TX. 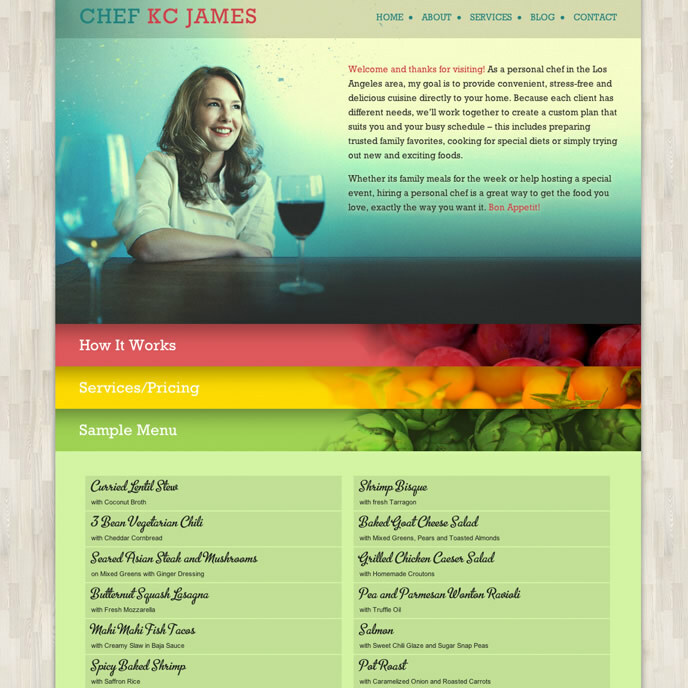 Custom website design and development for KC James – Personal Chef, Austin TX – Chef KC James. 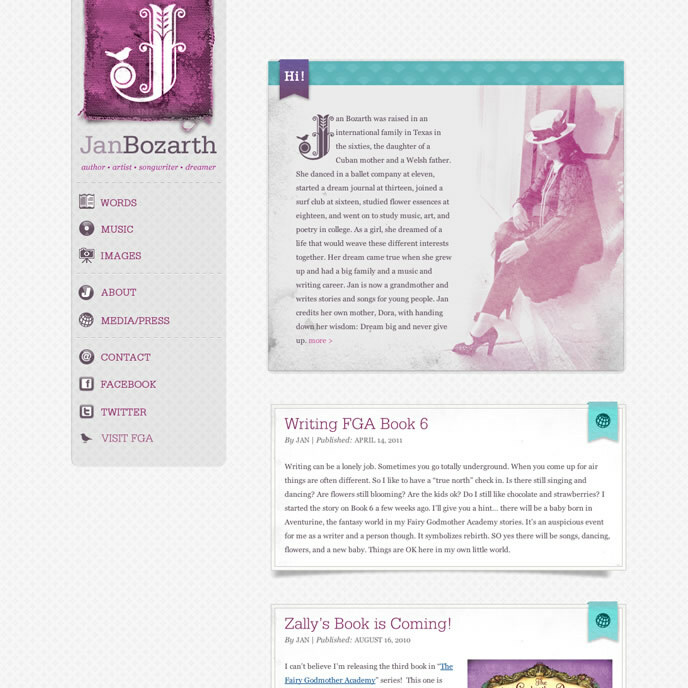 Custom WordPress theme design for Author Jan Bozarth. 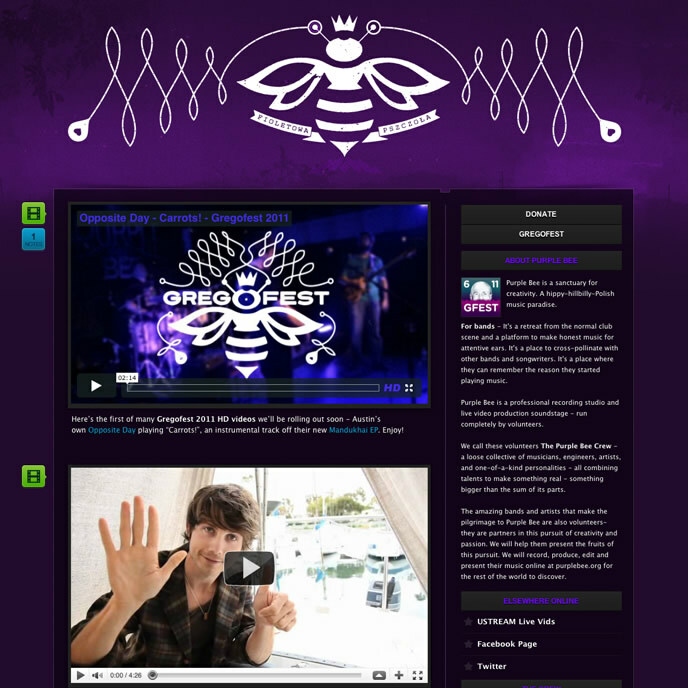 Custom Tumblr theme design for Purple Bee Crew. Branding work for the return of Tony Clifton: website, logo, concert posters, print ads, merchandise. *completed while working for Front Gate Solutions.